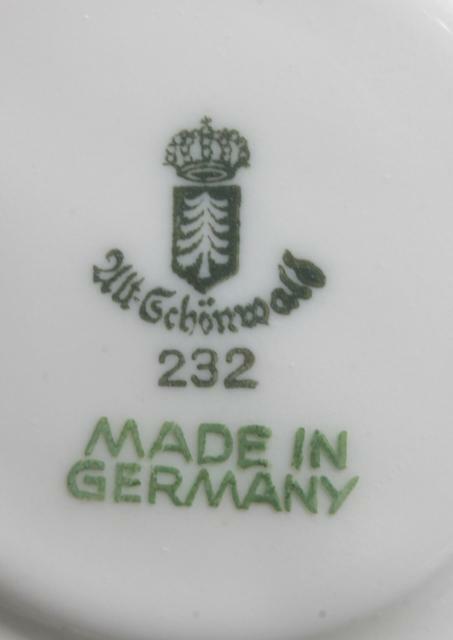 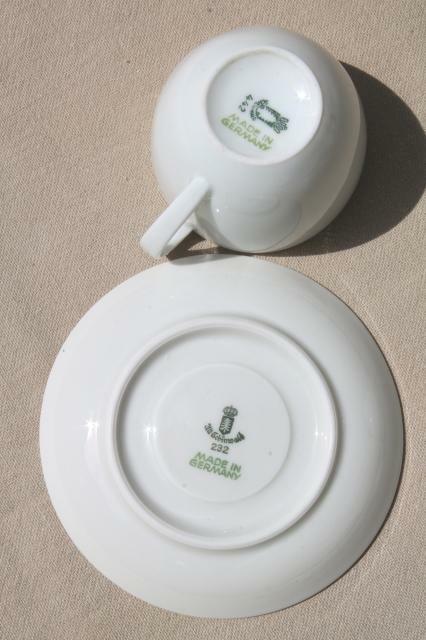 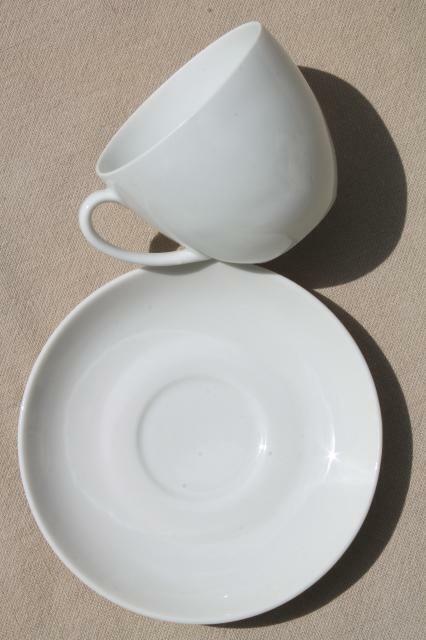 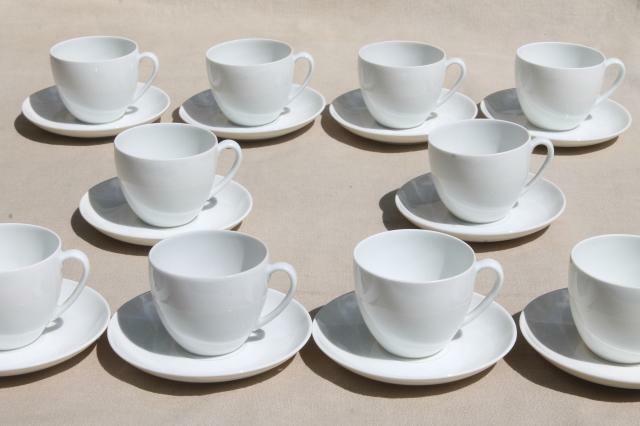 Set of ten demitasse cups and saucers, pure white Schonwald china made in Germany. 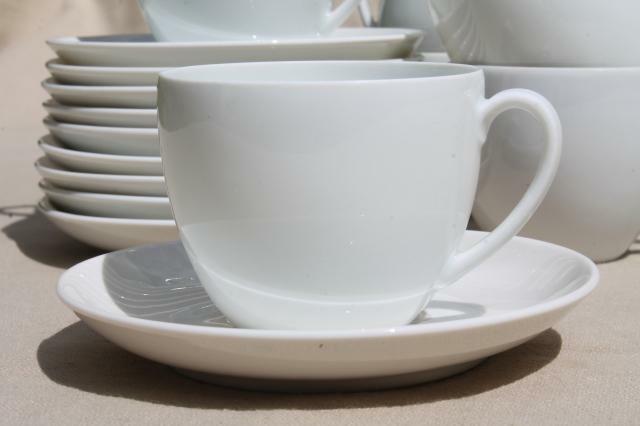 The cups are espresso cups, about 2" tall. 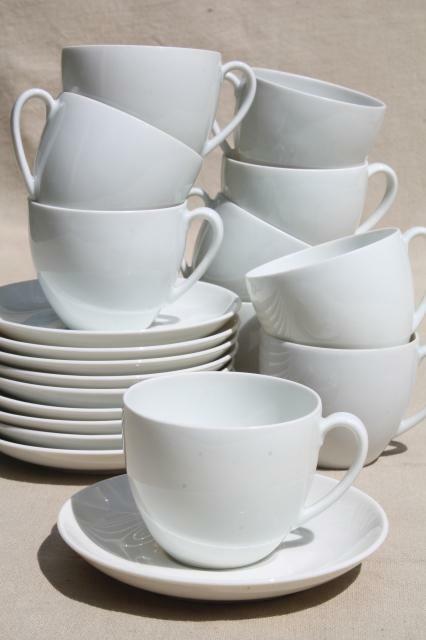 These are all in excellent condition - the white is pristine, and these have no signs of wear or use.